Ben manages his family’s 90+ year-old manufacturing business, Clamp-Swing Pricing Company in Oakland, CA and has maintained his interest and pursuits in photography throughout his working career. His passion is predominantly shooting landscapes with his large format cameras in the West Coast tradition. In addition to his black & white darkroom work, Ben periodically works in the digital world with color. He studied with William Garnett at the University of California, Berkeley, where he received a BA in Design and Photography. He earned an MFA from California Institute of the Arts with Al Weber as his advisor. At CalArts he met John Scarlata and helped John organize his work once he was diagnosed with terminal cancer in 2007. His involvement in that project resulted in he and his wife, Amy, joining FfPP. Please see the John Scarlata Case Study that Ben wrote for this website. 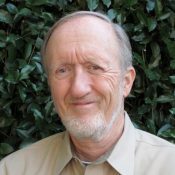 Ron was born in Stockton, California in 1944 and has lived in Pleasanton, California for 40 years. He was captivated by photography in 1970. The frustration he found in having others print his early images led him to construct a home darkroom where he learned to make his own Cibachrome and silver-gelatin prints. He soon met a supportive group of local photographers, including Don Abelson, whose support and guidance was invaluable. Workshops taken through the Friends of Photography and at UC Santa Cruz exposed him to a wealth of experiences coming from other teachers and mentors such as Al Weber, Phillip Hyde, Mark Citret and William Christenberry. Beyond instilling the craft and technique of photography, these great teachers allowed him to be free in the choice of subject matter, whether in classical desert and mountain landscapes or the compositions to be found in the disappearing remnants of towns of the American west. Ron has received awards in numerous California and national exhibits. His work can be found in both public and private collections, both national and international. Ron serves FfPP as its CFO and is honored to be assisting others in the preservation of their lifetime efforts in photography. 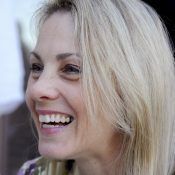 Amy has a Master’s Degree in Physical Therapy and works in the health care field, currently in management at Kaiser Permanente. She has a personal interest in photography and the preservation of photographic collections. She has been involved with FfPP since 2009. Mark Citret has been a landscape and architectural photographer since the late 1960s. His photographs are in many public and private collections, including those of the Art Institute of Chicago, the San Francisco Museum of Art, the Los Angeles County Museum of Art, the University of Arizona’s Center for Creative Photography, the Santa Barbara Museum of Art, Bank of America, and Hewlett Packard. 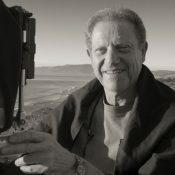 He taught photography for over 20 years for both the University of California Berkeley and Santa Cruz’s Extension programs, and continues to teach workshops and classes for many schools, programs, and organizations, including the Ansel Adams Gallery in Yosemite, Santa Fe Workshops, Viewpoint Gallery in Sacramento, CA, and RayKo Photo Center in San Francisco. Mark has produced five books including his most recent one, Parallel Landscapes, in 2016. He Lives in Daly City, California. His website is: www.mcitret.com. 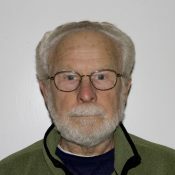 Over the course of the past forty years Barrie Rokeach has had numerous one-person exhibitions of aerial photographs in museums and galleries across the country, and has been featured in solo articles in several dozen printed publications as well as television and radio presentations. Three books of Rokeach’s aerial images have been published, and his work has been utilized in hundreds of magazines, books, posters and calendars. Rokeach was invited to contribute to three international book events, where photographers from across the world congregate to document an area or country, and the United States Postal Service recently published one of his images as a stamp. His imagery is included in numerous private, corporate, public and museum collections, and he has taught photography at several higher education institutions. Rokeach was recently designated a Distinguished Alumni from the College of Environmental Design, U.C. Berkeley, where he earned a BA in Math and an MA in Design and Photography. 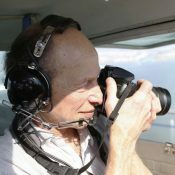 Rokeach earned a private pilot’s license with commercial and instrument ratings, and has been flying an aircraft while simultaneously photographing for over forty years. He currently resides in Berkeley, CA. 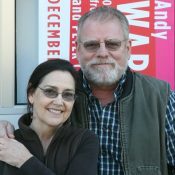 Ken Ball and Victoria Whyte Ball are consultants, freelance designers, illustrators, and photographers in the San Francisco Bay Area. Working together with photographers William Heick, Ira Latour, and C. Cameron Macauley, who were students of Ansel Adams and Minor White, they have published a book called “The Golden Decade, Photography at the California School of Fine Arts, 1945-55”. Victoria wrote the case study for this website about her father, Don Whyte, who is featured in the book.They are concerned about preserving the photographic legacy of California photographers and they are excited to be working with FfPP. Barbara grew up on the Monterey Peninsula in the shadow of Cole Weston, Ansel Adams and Al Weber. She took photography classes at MPC from Al Weber during high school and decided to pursue a lifetime of photography. She received an AA from Santa Monica City College and a BA from Antioch College West. Barbara’s strongest influences were Imogene Cunningham, Georgia O’Keefe and women photographers who were coming into their own at the end of the 20th century. Barbara originally was planning to study photographic conservation but met Fernando Batista in 1973 and that goal changed. 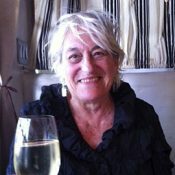 Barbara joined Fernando in setting up Batista Moon Studio in 1974 and stayed in commercial photography for the next 34 years with frequent forays into teaching. 8 years ago she started teaching part time at Pacific Grove Adult School in Basic and Intermediate Photography, Lightroom, Portfolio Development. Barbara also co-teaches and tutors privately with Fernando. The movement from film to digital began 10 years ago but nostalgia for film still endures. Barbara joined FFPP because she is drawn back to the subject of conservation she wanted to study 40 years ago as well as being able to work with her life time mentor, Al Weber. Fernando is a native of Brazil and immigrated to the United States in 1969. He attended State University of Buffalo and studied under Leslie Krimms. He moved to CA in 1972 and later met his wife Barbara Moon Batista and moved to Monterey CA where he studied under Al Weber, Morley Baer, and Tom Millea. Batista Moon Studio, a commercial photography studio, was established in 1974 and Fernando and Barbara are partners in the day to day operation of the studio. They have enjoyed a reputation as creative photographers. The studio does general assignments but is well known for its food, wine, agricultural and architectural images. The transition from film to digital began about 12 years ago. 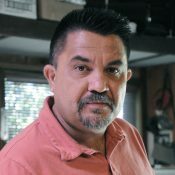 Fernando also has taught workshops over the past 25 years both privately and at UCSC Extension Program and the OLLI program at CSUMB. He now co-teaches with Barbara, classes at PG Adult School on Basic and Intermediate Studio and Portrait Lighting, as well as private classes and workshops. His interest in the preservation of photography grew out of assisting Barbara scan and preserve family photographs for genealogy projects. Artist, writer, publisher and founding member of FfPP. 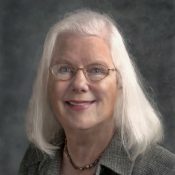 Former Head of Special Collections, McHenry Library, University of California, Santa Cruz. Photographer and writer, former Head of Arts and Humanities (including the Photography Workshop Program), University of California Extension, Santa Cruz. Photographer, lawyer, winemaker, farmer. 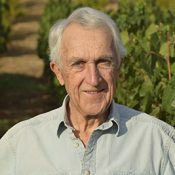 Reverdy practices law and runs Red Hawk Vineyards, LLC, a commercial vineyard in the Pope Valley area of the Napa Valley. Marty is a photographer and educator. 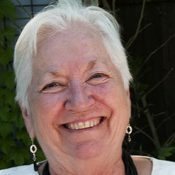 She received her BA in Aesthetic Studies Specializing in Photography from UCSC and studied with many notable instructors over the years. 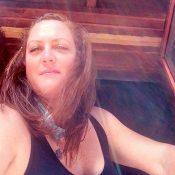 She teaches all ages through local community programs and schools and formerly through the California Arts in Corrections Program. 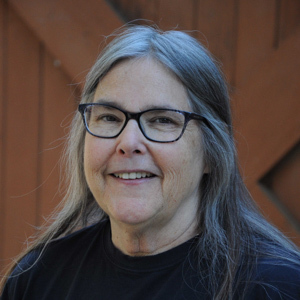 She is the volunteer curator at the Redwood Shores Library Gallery, a volunteer with the Center for Photographic Art in Carmel, and a member of the National Press Photographers Association. Marty strongly believes in community art in that the study of art should be accessible and affordable for everyone. In that spirit, Localvision, an annual group photography exhibit has highlighted the work of her students since 1994. Originally from Mexico City, Martin’s early interest in photography was generated by watching his father take photographs. His passion for the medium evolved over time by taking courses in the early 1990s at Hartnell College in Salinas, California, under the direction of Richard Green. He has developed close personal friendships with other local photographers including Trini Contreras, Ken Cook and Al Weber, who has been Martin’s mentor. His involvement with Al has led to important projects photographing the California Missions and to collaborations with Kim Weston. Martin’s work has been exhibited at the Hartnell College Student Gallery, Monterey County Court House, The National Steinbeck Center, Sunset Center in Carmel, Balfour/Brutzman Gallery at CSUMB and the Student Center at CSUMB. 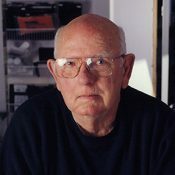 Don Anderson was an artist, teacher, and photographic historian. After being hired as the first Curator of the Photographic Archives at the University of Louisville in 1967, Louisville, Kentucky, he later transferred to the Fine Arts Department at Louisville where he taught photography to undergraduates and BFA students from 1970 to 1998. 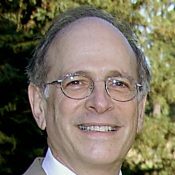 He moved to California in 1998, and taught at Monterey Peninsula College, California State University at Monterey Bay, and San Francisco State. Don exhibited his personal photography in numerous one person and group shows throughout the U.S., including a one person exhibition at L’Ecole Nationale de la Photographie in Arles, France in 1994. 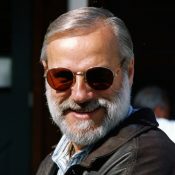 Don was active with FfPP, both as a Board Member and later as a consultant on special projects. Don was a good friend to FfPP, and his presence is deeply missed.